You need more room in your house. 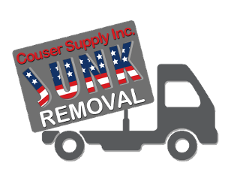 You can make that space available by asking Couser Hauling for junk removal in Frederick, MD. Discover plenty of space by cleaning out closets, the spare bedroom, the attic, and the basement. 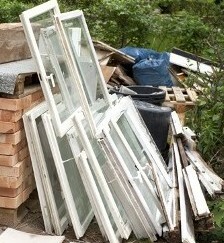 If you like, we can help you with the cleanup, as well as the disposal, of unwanted items. Our family-owned-and-operated company offers garbage pickup, junk removal, dumpster and container rental, and residential clean-out services. Expect courteous service delivered in a timely manner, as well as affordable prices. When you request trash removal, we offer you same-day service. Clearing up clutter in your house involves more than moving items from one room to another. Storing a broken lamp in the closet or placing a non-working refrigerator in the basement removes it from one room, but does not get rid of the unwanted possessions. Plus, it does nothing to reduce the clutter in your home. Does the state of your house embarrass you? Does clutter prevent you from inviting people into your home? If so, take advantage of our junk removal services. Arrange for us to pick up all those unnecessary items that prevent you from being more sociable. We can come that same day for pickup or whenever it is most convenient for you. With morning, evening, and Saturday hours, our local company makes it easy for you to schedule pickup. Leave the big and small items to us when it comes to disposal. We pick up furniture, appliances, scrap metal, and even tree limbs. Plus, we rent dumpsters and roll-off containers for the heavy-duty jobs. Choose us to serve as your solid waste disposal company, whether it involves collecting the garbage on a regular basis, clearing out an estate for your family member who has passed on, or decluttering your home. Call one of our helpful customer service representatives to arrange for the service you require. Contact us today to schedule same-day service for junk removal in Frederick, MD, and the surrounding areas.